Anjalyn Kumar – Oral Health Therapist Extended Scope. 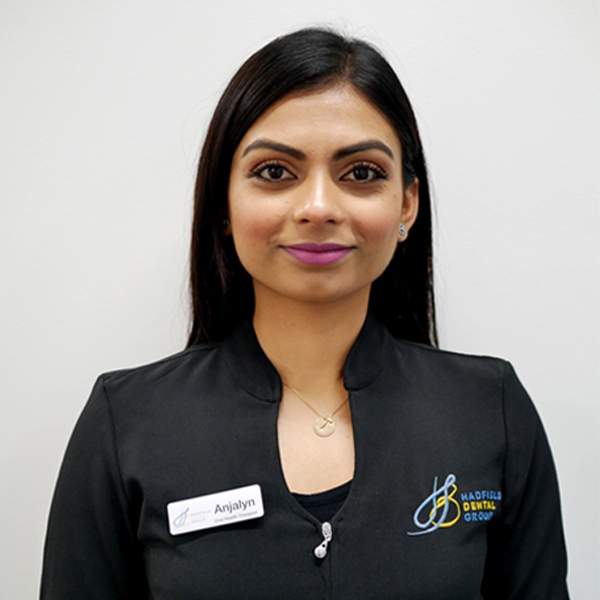 Anjalyn grew up and studied in New Zealand where she completed her Bachelor of Oral Health Sciences from the University of Otago, New Zealand and has recently achieved her postgraduate qualification in Advanced Clinical Practice from the University of Melbourne. As a locum Anjalyn has practiced in public and private sectors across New Zealand, metropolitan Melbourne and rural Victoria. She enjoys treating both children and adults although has a strong passion for paediatric dentistry, eliminating fears and making children’s dental experiences enjoyable and positive. Anjalyn has a special interest in periodontal management and preventative dentistry. She has widespread knowledge in dental disease prevention and is an advocate for oral health promotion, where she believes patients should have awareness and understand their dental conditions. She enjoys performing gentle and caring dentistry and will make you feel completely at ease. Outside of work, she enjoys travelling, spending time with family and friends and discovering what Melbourne has to offer. Anjalyn is available on Thursday, Friday and Saturday.